Now that we’re into March and the warm weather is about to pay us a visit (fingers crossed), you may be starting to think about the exterior of your home. 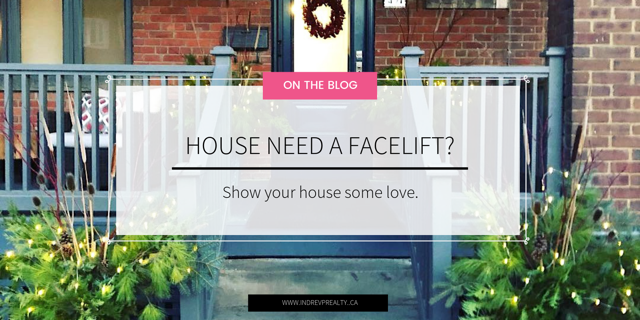 It’s amazing how changing a few windows, a front door, and removing some dated features can really increase the appeal of a home. When we purchased this particular property, curb appeal was sadly missing. It can be challenging to look past a rough exterior and imagine what something can become. Luckily for us, this is one of the things I love about real estate! Being able to see the potential of a home and envision what it can become is super exciting.